Feeding steamed hay to severely asthmatic horses is not the simple answer to managing their condition, the findings of fresh research suggest. While steaming significantly decreased the mould content of hay, it had what the French research team described as an inconsistent influence on the respiratory response of horses affected by severe equine asthma, previously known as recurrent airway obstruction. Its relevance might be controversial as a non-medicinal therapy for horses with severe asthma, they concluded, based on their analysis of bronchoalveolar lavage fluid and cytokine profiles. Eric Richard and his colleagues, writing in the journal BMC Veterinary Research, said the avoidance of stimuli of the immune system through the likes of exposure to allergens was known to significantly reverse airway obstruction in horses with severe asthma. Severe equine asthma is a chronic disease of adult horses characterised by frequent coughing and increased respiratory effort at rest, as well as considerable lower airway inflammation and reversible airway obstruction. Environmental change, especially pasture turnout, with or without anti-inflammatory medication, was found to reverse the condition. 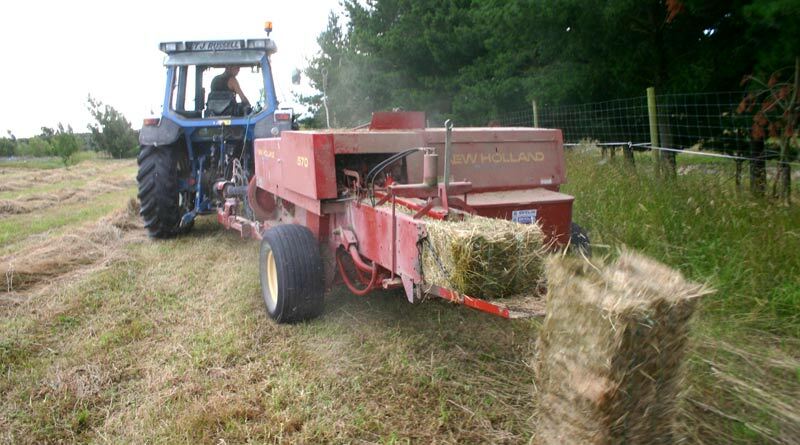 Feeding haylage and using wood shavings as bedding have also been associated with far lower levels of both respirable dust and endotoxins within the horse’s breathing zone when compared to the hay/straw environment. Soaking and high-temperature steaming of hay has been found to significantly reduce exposure to respirable particles, the study team noted, but no published study had investigated the potential influence of steaming hay on lower airway inflammation of horses with severe asthma. They researchers set out to determine the clinical, cytological and cytokine respiratory responses of both healthy control horses and horses with severe asthma experimentally exposed to steamed or dry hay. They described an experiment involving six asthma-affected horses with six healthy control animals. Both groups were initially fed steamed hay for five days in a row. Twenty-six days later, both groups were fed dry hay for five days. The animals were kept at pasture throughout the experiment. The horses underwent examinations two days before and five days after each phase of the experiment. The animals were clinically scored based on tracheal mucus accumulation and analysis of their bronchoalveolar lavage fluid to determine what kinds of cells were present, as well as cytokine levels. Cytokines are substances such as interferon, interleukin, and growth factors, which are secreted by certain cells of the immune system that affect other cells. “Feeding steamed hay significantly decreased its mould content,” the study team reported. And mucus scores significantly increased when feeding dry hay. However, whether the hay was steamed or dry had no significant influence on the clinical scores of the animals. Percentages of neutrophils as well as the cytokine response seen in the lung fluid all increased significantly after the horses were fed steamed and dry hay. Despite the findings, the researchers said the relevance of steaming hay warranted further investigation both in the context of prevention/therapy for mild equine asthma at training, and for long-term preclusion of lately developing severe asthma. The full study team comprised Marie Orard, Erika Hue, Anne Couroucé, Céline Bizon-Mercier, Marie-Pierre Toquet, Meriel Moore-Colyer, Laurent Couëtil, Stéphane Pronost, Romain Paillot, Magali Demoor and Eric Richard, from a range of mostly French institutions.